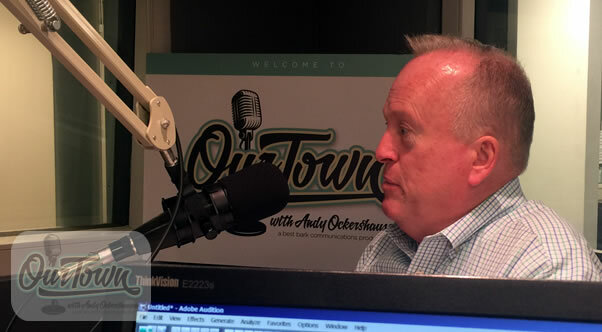 Kurt Erickson is President of Washington Regional Alcohol Program(WRAP) and is Andy O’s guest in this all new episode of the Our Town podcast. Listen in as Kurt and Andy discuss the history of WRAP, how and why it came to be. They also discuss the good work done through WRAP regarding the issue of drinking and driving. Kurt Erickson was born in Boston and moved to Our Town in 1970 with his family when he was a child. He attended Radford University and afterward worked 10 years for the American Lung Association fighting against tobacco use in a state fueled – at the time – by tobacco. Kurt now lives with his wife and three children in a small town outside of Leesburg – Waterford, Virginia one of the oldest towns in Our Town. Kurt has been leading the non-profit WRAP as its President since 1999. WRAP takes the fight against drunk driving seriously- advocating for tougher penalties for repeat offenders as well as teaching the dangers of drinking and driving to school aged children. WRAP was founded in 1982 and was formed to fight drunk driving, drugged driving and underage drinking in the DC area. Kurt also heads up the WRAP’s public and government relations initiatives by serving as a registered lobbyist before Maryland and Virginia’s General Assemblies as well as the District of Columbia’s City Council. Prior to WRAP, Kurt Erickson was Executive Director, public affairs director and registered lobbyist for the American Lung Association of Northern Virginia. (1988-1999) The common denominator in these two positions is prevention and youth. Erik is a hero in Our Town for taking on these issues on and helping us find solutions to these life or death problems. WRAP has offered many innovative ideas for ways to reduce drunk driving such as offering free cab rides through their program SoberRide especially during the holiday season and other busy times of the year. Andy points out that everyone sharing the roadways is impacted by the safety provided by this service. Not only may it prevent someone from killing themselves but it may prevent the deaths of others who are not impaired. Kurt Erickson recites a staggering statistics to Andy from the National Highway Traffic Safety Administration says that a third of drunk driving victims are non-intoxicated motorists, non-intoxicated occupants of motor-vehicles, and non-intoxicated pedestrians. Kurt and Andy have a heart-to-heart discussion about the issues still plaguing our community when comes to alcohol and impaired judgement. The amount of drunk drivers on the road is still a huge concern in our town and around the entire country. We are losing 10,000 people a year to drunk driving. 70% of drunk drivers are men and the majority of accidents happen at night and on weekends. Andy opens up the discussion of the parent’s role in this drinking and driving problem. Parents have a big responsibility in underaged drinking and there are real penalties. Kurt Erikson understands the parents’ perspective to want to “keep the drinking all under one roof” or “where they can have their eye on things” but if these kids are then allowed to get in a car, the parents are ultimately responsible for whatever happens next. Kurt emphasizes that when it comes to alcohol, it is all about impaired judgement. There should be a designated exit route planned ahead of time. Thinking ahead is crucial to safety with alcohol. Personal responsibility is ultimately what it will take to make this problem. The cost for this problem is too high to tolerate any longer. Kurt applauds Andy and all of his support in the efforts of the WRAP. Andy calls drinking and driving “a national tragedy”. Andy recalls days when his buddies were not so pleased with him as he went against the fundamental philosophy of happy hour and allowing bars to stay open past midnight.